If there is such a thing as a perfect book, this would be it. I adored To All the Boys I've Loved Before, but it was this sequel that caused my heart to swell way beyond its capacity. Jenny Han is the queen of YA contemporaries. Just when I think she can't possibly produce another top of the list favorite, she delivers this beauty to blow all the rest out of the water. Lara Jean is in love. The real deal: heart pounding, sweaty palms, butterflies flapping, all in sort of love. As she navigates this newfound love with Peter K, she's also introduced to new feelings that may or may not induce insecurities and potential heartache, too. Following these emotions has its ups, and sometimes it can lead to a few downs as well. I really enjoyed the honest take on what it means to surrender your teenage heart to a boy, and all the wild emotions that emerge because of it. 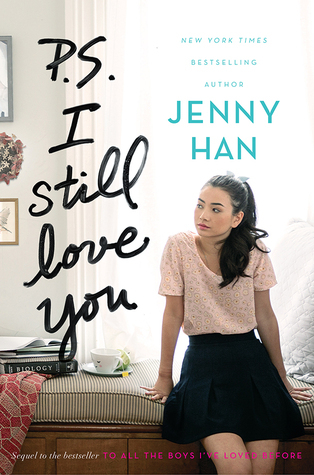 Jenny Han's authentic approach of a sisterly relationship shines immensely in this follow up novel. I found myself identifying with this aspect in the first story, only to be reminded of her true genius of writing such a believable, relatable relationship yet again. She kindles such a rare, beautiful relationship that can only be felt between sisters and projects it on to the page so flawlessly. Being a sister myself, I saw so much of my own relationships staring back at me. There's nothing better than experiencing a story which feels so similar to your own. Another similarity that rang true in my own heart, is the absence Lara Jean feels for her mom. There is a certain scene in this book, which due to spoilers I will not reveal in detail, that brought me back to a feeling of longing that I too have for my own deceased mother. 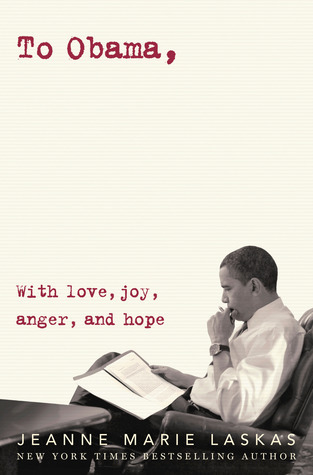 It brought on tears -- the rolling down the cheeks, must put down the book, and take a deep breath -- sort of tears. Literature can be such a powerful thing when it awakens a sorrow you haven't felt that deep in quite awhile. The bold, naked truth of Lara Jean missing her mother hit me right in the heart. When I finish a Jenny Han book, I always want more. It's no surprise. However, knowing that this is the final chapter in the Song girls story -- even as much as I am going to miss them -- I am content with Han's The End. It compliments the first novel, but still stands strongly by itself, leaving the reader with a more than satisfied closure. I've been known as the girl to recommend the Summer series (Jenny Han's previous YA contemp series) to every reader I know. Watch out, because now I have a new story to recommend and push on to every reader out there. Thank you, Jenny Han, for gifting the world with your talent and beauty with words. Never stop writing because I will never stop reading. Very nice review without being spoilery. I agree with what you said about how 'the absence Lara Jean feels for her mom' is shown in the book. I have also lost my mom and Jenny Han just writes that realistically. I agree. It was the perfect book. I really want more. I adored P.S. I Still Love You! I think Jenny really has a magical way of writing YA stories that feel so authentic, so true to what a teen's experience (particularly in love and other relationships) feels like. Looking forward to read this one too, anytime soon...PROMISE!